A regional daily news editor has raised thousands of pounds for charity after running from coast to coast. 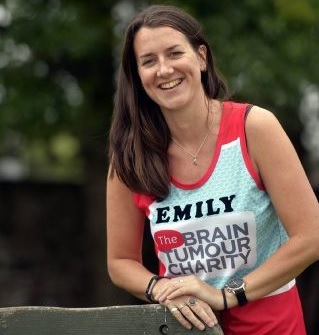 Carlisle News & Star news editor Emily Parsons ran from the western edge of Cumbria to South Shields before competing in the Great North Run in aid of the Brain Tumour Charity. She undertook the challenge n support of her close friend Rachel Cole, who is battling a terminal brain tumour. Emily completed the final leg alongside partner Damian Woolfe, and was surprised by a waiting Rachel and her husband Graham at the finish line. Said Emily: “It was a great final ending to a week filled with ups and downs. “There have been real highs and desperate lows. Coming down the sea front on the last mile, I was fighting tears most of the way, just to know the end was in sight. Emily’s News & Star colleague, reporter Kelly Pattison, also took part in the Great North Run in aid of Teenage Cancer Trust.